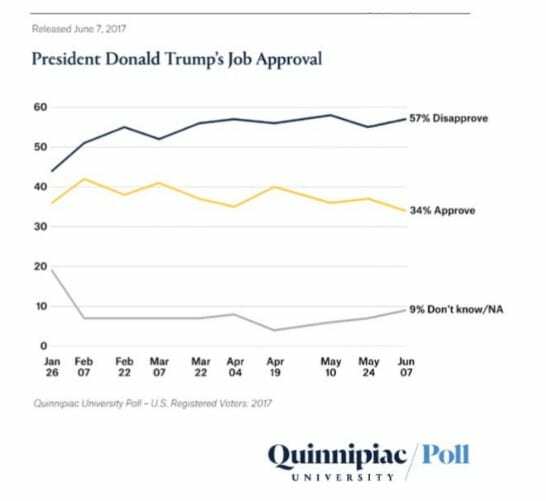 President Trump’s approval rating dipped to a “new low” in the history of Quinnipiac University’s polling in their latest survey, released Wednesday. The poll found that just 34 percent of voters approve of the job Trump is doing, while 57 percent disapprove. Quinnipiac also found that voters aren’t convinced Trump is level-headed, with 68 percent saying he is not. 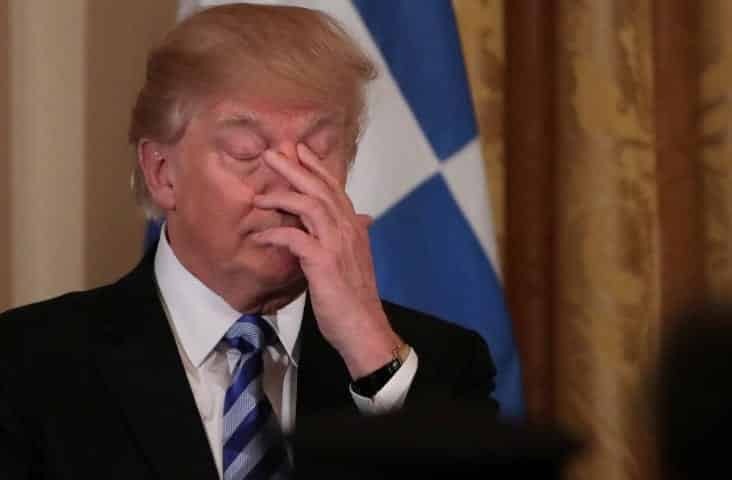 Sixty-eight percent of voters also reported being “very concerned” or “somewhat concerned” about Trump’s relationship with Russia, and only 32 percent of voters said they believe Trump “did nothing wrong” with Russia. Quinnipiac assistant director Tim Malloy said the poll contains “zero good news” for the president. This entry was posted on June 8th 2017 at 10:46am/10:46 and is filed under Elections, Live News Column 2, Politics, Polls. You can follow any responses to this entry through the RSS 2.0 feed.